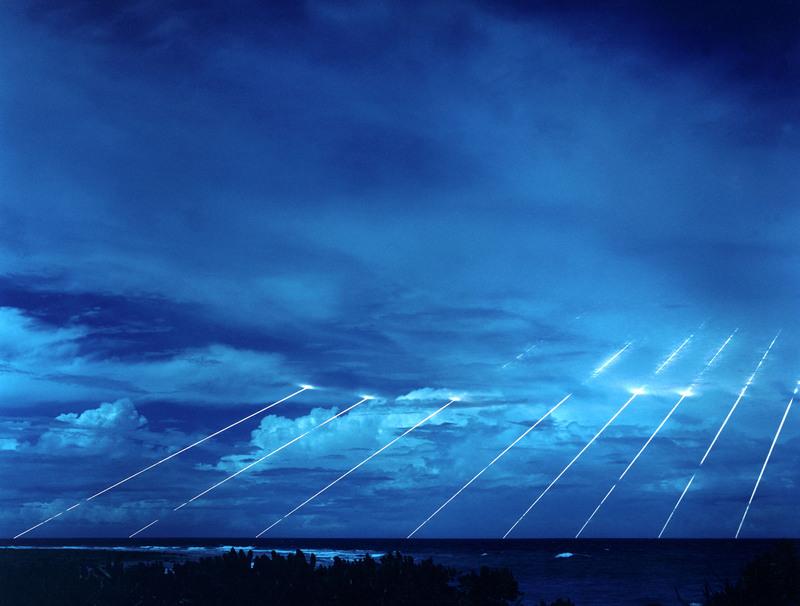 This photo shows the Peacekeeper re-entry vehicles, all eight fired from only one missile. It amuses me how something labeled “the peacekeeper” could detonate with a payload large enough to take out a small country. An empiristic way of keeping the peace..